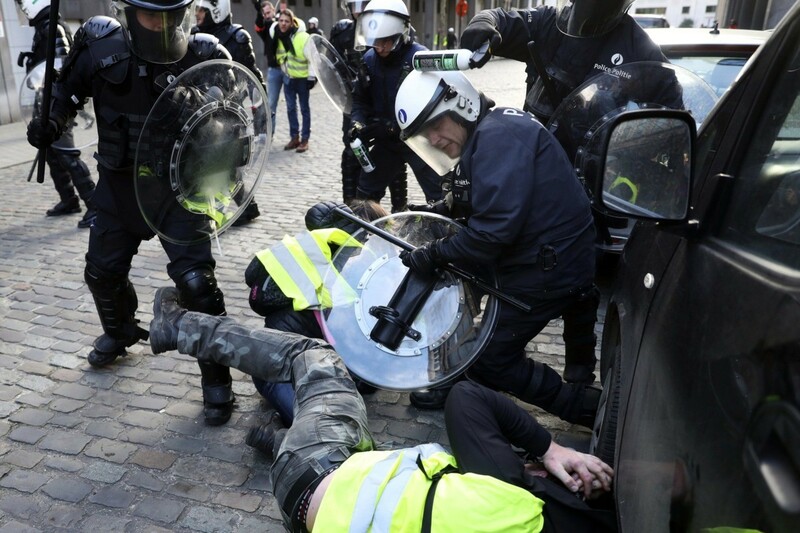 The French Yellow Vest protest movement against high taxes has spread to Belgium after protesters clashed with police in Brussels on Friday. Hundreds of Belgians wearing the yellow vests synonymous with the French grassroots movement are believed to have been protesting against living costs, high fuel taxes, and low wages and pensions. 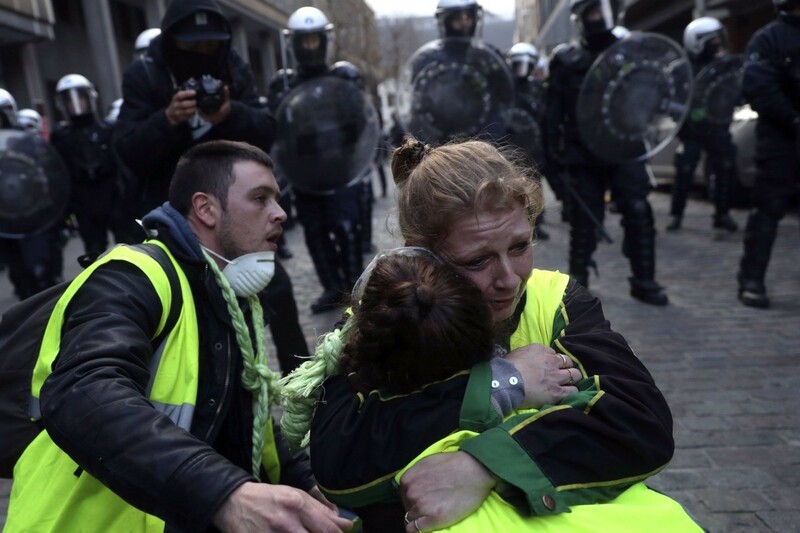 Like the protests that have been taking place across France for the past two weeks, protesters blocked traffic, some handing out yellow vests to drivers and bystanders. 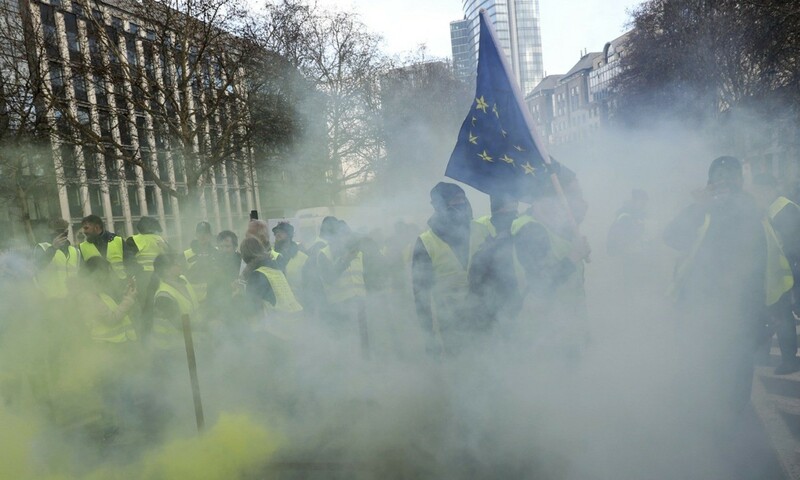 Small rallies and roadblocks have been taking place in the French-speaking south of Belgium for about two weeks, with roadblocks also occurring in the city of Charleroi, 38 miles south of Brussels. 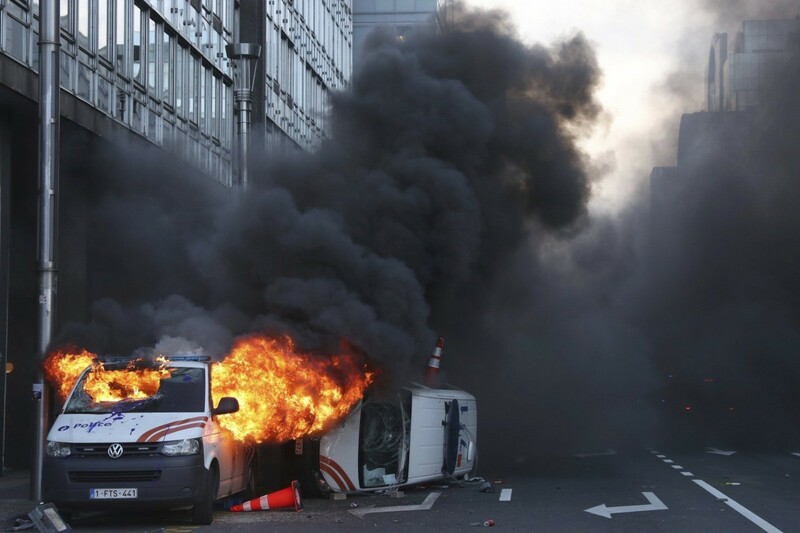 Violence broke out after police blocked protesters from marching on government buildings in the Belgian capital, with two police vehicles reportedly attacked, one of which was overturned and another set on fire, while traffic lights and road signs were also damaged. Riot police responded with water cannons and tear gas, and police charged around 60 people with disturbing public order. One female protester told Agence France-Presse, “As in France, there are the very, very rich who are high up and then there are the very, very poor who are becoming increasingly poorer. Another Yellow Vest said, “We are being taxed and strangled through taxes. “And so we are out on the streets to say that we aren’t able to make ends meet any more. We don’t have enough to live on to the end of the month,” he added. French protesters told media last week that they were also taking to the streets over the cost of living and fuel tax hikes — with taxes on diesel rising by 23 per cent in just 12 months — brought about by progressive French President Emmanuel Macron as part of his environmental reforms. The tax hikes were said to affect those in the suburbs and countryside, who have no alternative but to use their cars for transport. “Macron is the president of the rich and not the poor. 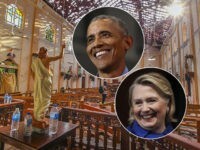 He needs to think about the poor as well,” one protester said. 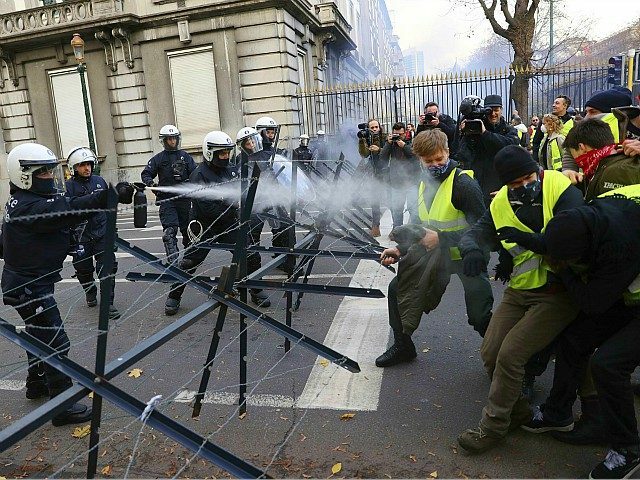 Despite civil unrest and violent outbreaks in protests in France, Macron has vowed “no retreat” on his globalist reforms, including further fuel tax rises in the new year. All images were photographed by Francisco Seco, AP, on Friday, November 30th, 2018, Brussels, Belgium.